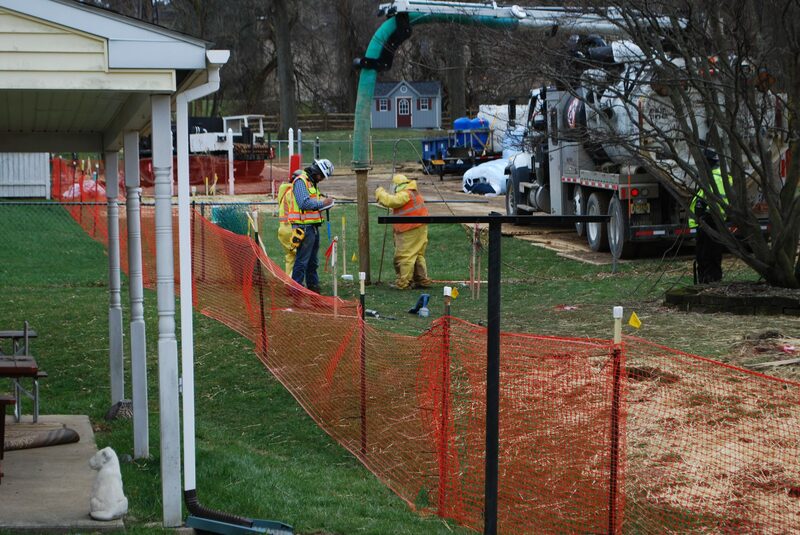 In this file photo from May, pipeline workers probe the ground on Lisa Drive in West Whiteland Township where sinkholes have developed as a result of the Mariner East 2 construction. 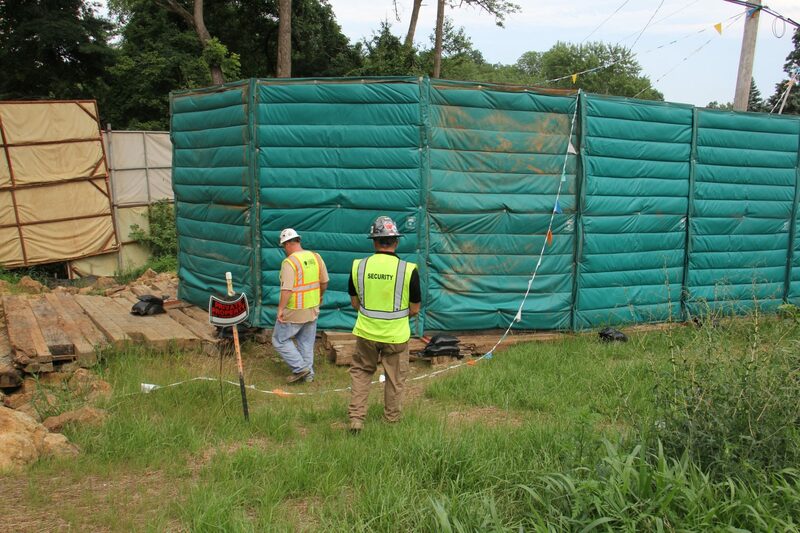 In a split decision, the Pennsylvania Public Utility Commission voted to allow Sunoco’s Mariner East 2 and 2x pipeline construction to resume in parts of West Whiteland Township, Chester County. Commissioners Norman Kennard, John Coleman and David Sweet voted to allow construction in eight of 12 locations where the Department of Environmental Protection had recently granted permission. PUC chair Gladys Brown and commissioner Andrew Place opposed Thursday’s decision to remove restrictions on construction in the suburban Philadelphia community. The PUC voted in June to maintain the injunction imposed on Sunoco by Administrative Law Judge Elizabeth Barnes, and set conditions on the company, including that it get new permits from the Department of Environmental Protection. While the company did secure permits for those eight locations, Brown said the intent was not to lift the injunction in a “piecemeal” fashion. She also expressed disappointment with Sunoco’s response. “I note that Sunoco opted not to provide one iota more than was requested and did not, in my opinion, attempt to assuage the concerns regarding lack of transparency voiced by the Parties in this proceeding,” she said in a statement. Place, the PUC’s vice-chair, also said Sunoco had not submitted sufficient information that would have complied with the order. State Sen. Andy Dinniman (D-Chester County), who has filed a lawsuit calling for the pipeline construction and operation to be stopped in West Whiteland Township, criticized the decision. Residents have raised safety concerns not just with the construction, but also the operation of the pipeline. It will carry natural gas liquids like ethane, propane and butane from the western part of the state through the densely populated communities in Chester and Montgomery counties to an export terminal in Marcus Hook, Delaware County. Energy Transfer Partners, which now owns Sunoco, has said the line will be operational in the fall. A spokesperson said the company is “pleased with the decision,” and that the timeline for completion of the project is unchanged. The almost $3 billion project has run into delays from drilling mud spills and Sunoco plans to repurpose an existing 12-inch line to complete the project on time.